In this episode: Explaining the "4 Christmas Gift Challenge." Listener, Tracey shares a few book recommendations in our "Favorite Things" segment. 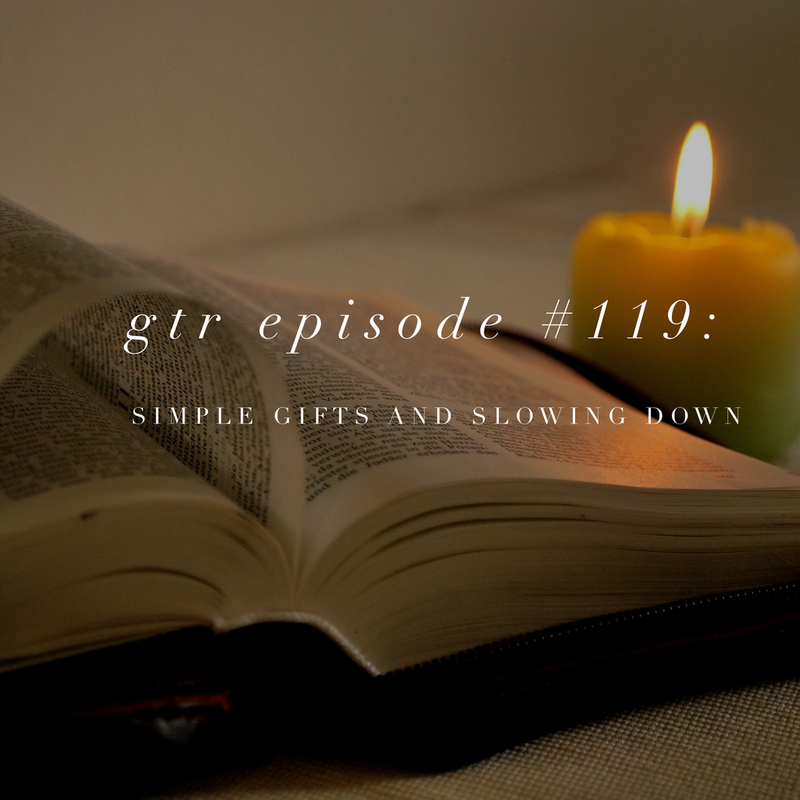 The importance of slowing down, and much more! Become a Podbean Patron "Good Friend" of the show, here. Sign up for our newsletter, here. Need a producer? Visit Mark Coming at Coming Home Studio, here. Find out more about the Arise retreat! Details, here.